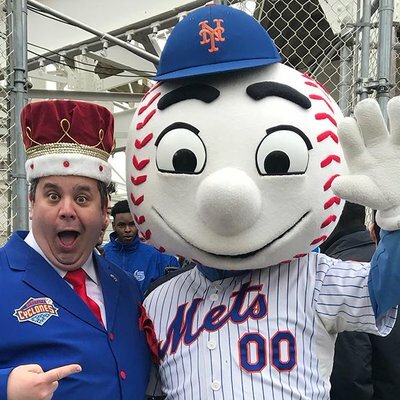 TheMediagoon.com: Mr Met's makes a new friend? Mr Met's makes a new friend? 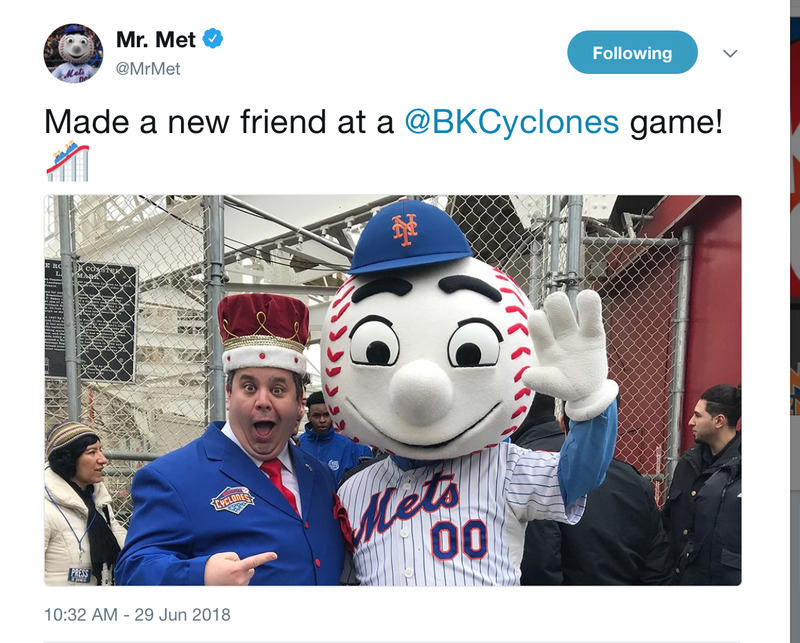 Which new friend did Mr Met make? King Henry? Didn't they know each other already? And why is that woman wearing a winter coat and hat in June? What's going on here Mets? One more thing...Why is King Henry stealing Ralph Kramden's schtick?